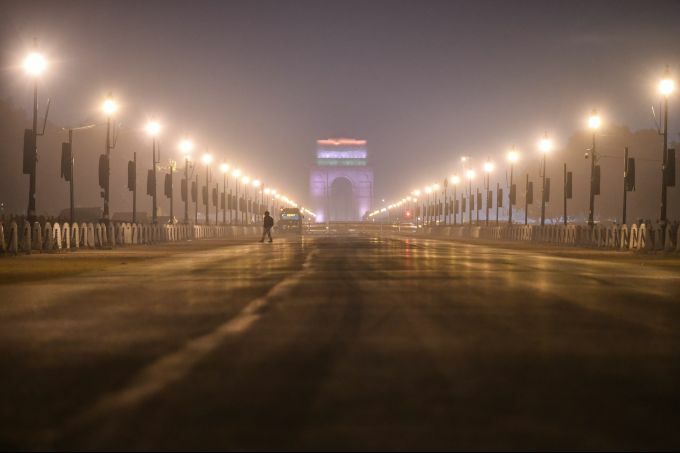 New Delhi: A view of the India Gate on the New Year's eve, in New Delhi, Monday, Dec 31, 2018. 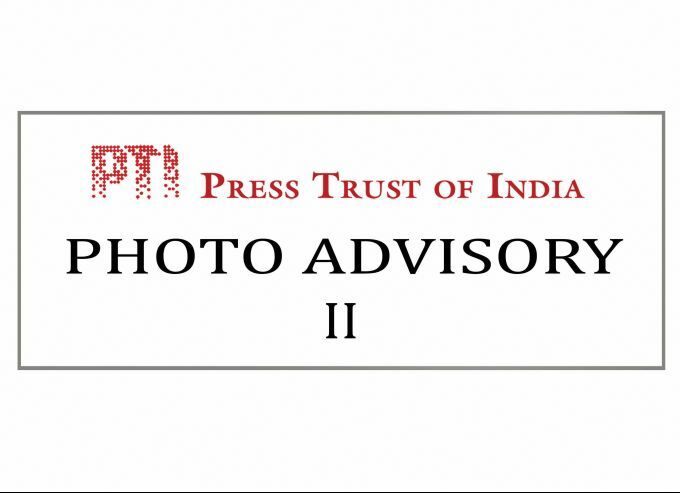 **PHOTO ADVISORY-2**: LIST OF PHOTOS (60-133) RELEASED UP TO 8.00 P.M. New Delhi: Dec 31, 2018; – NATIONAL: Lucknow: UP CM Yogi Adityanath addresses a press conference in relation to Congress' involvement in AgustaWestland chopper deal (A+B); Mumbai/Patna: Bigg Boss Season 12 winner (B); New Delhi: Lajpat Nagar – Mayur Vihar Pocket 1 Metro section opened (B); Karad/Amritsar/Allahabad/Shimla/Calangute: New Year's eve (A+B); New Delhi: Handing over of Senior Officer in-charge of Administration (B); Ooty: Annual Hethai Amman festival (B); Allahabad: Train run late due to fog in Allahabad (B); Jaipur/Kolkata/Puri: Last sunset of 2018 (A+B); Bodhgaya: Nitish Kumar meets the Dalai Lama (B); Kolkata: Mamata Banerjee at press conference (B); Bengaluru: 'Person of the Year' Award (B); Somnath: President Ram Nath Kovind offers prayers at Somnath Temple(B); –INTERNATIONAL: Magnitigorsk: Gas explosion in a house in Russia's Urals city of Magnitogorsk(B); Bangkok: Monks drape a cloth over worshippers lying coffins at the Takien temple (B); Sydney: New Year's Eve celebrations (B); Dhaka: Bangladeshi PM Sheikh Hasina greets the gathering in Dhaka (B); --SPORTS: Guwahati/Patna/Nagpur: Ranji trophy cricket match(B); Agartala: Dipa Karmakar meets Tripura CM (B). 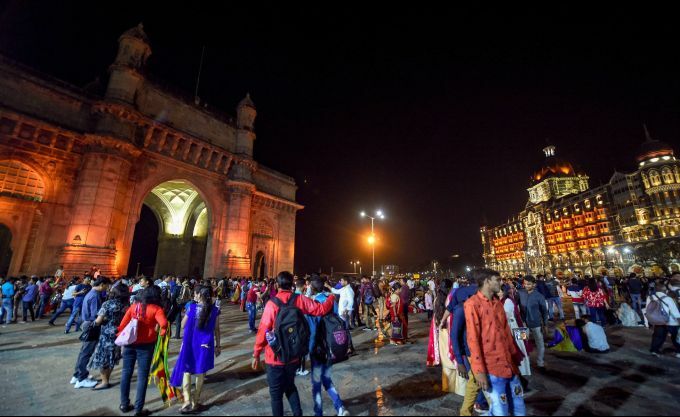 Mumbai: Visitors at Gateway of India on the New Year's eve, in Mumbai, Monday, Dec. 31, 20187. 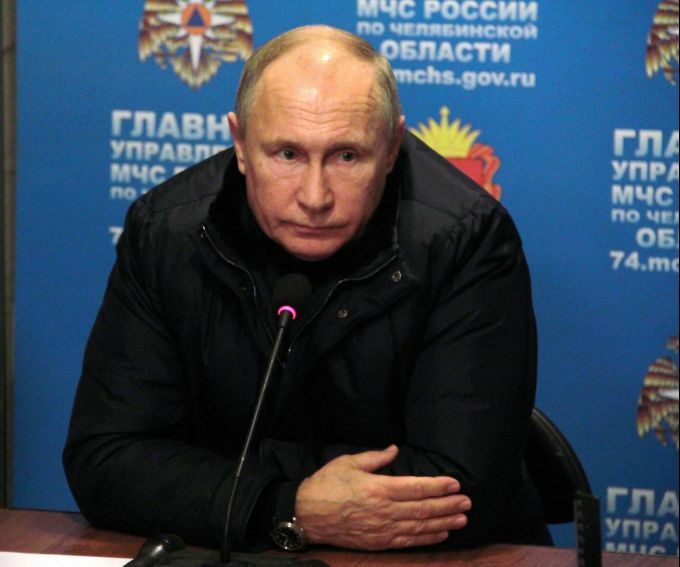 Magnitogorsk : Russian President Magnitogorsk attends a meeting of Emergency Situations headquarter at a collapsed apartment building in Magnitogorsk, a city of 400,000 people, about 1,400 kilometers (870 miles) southeast of Moscow, Russia, Monday, Dec. 31, 2018. At least four people died Monday when part of a 10-story apartment building collapsed in Russia's Ural Mountains region, and hundreds of rescuers searched for survivors under the rubble in the frigid weather. 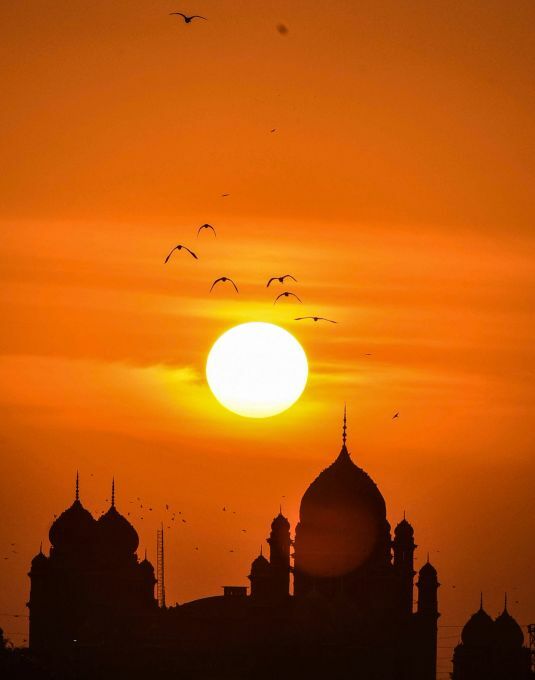 Hyderabad: A view of the last sunset of the year 2018 in back drop of historic High Court in Hyderabad, Monday, Dec 31, 2018. 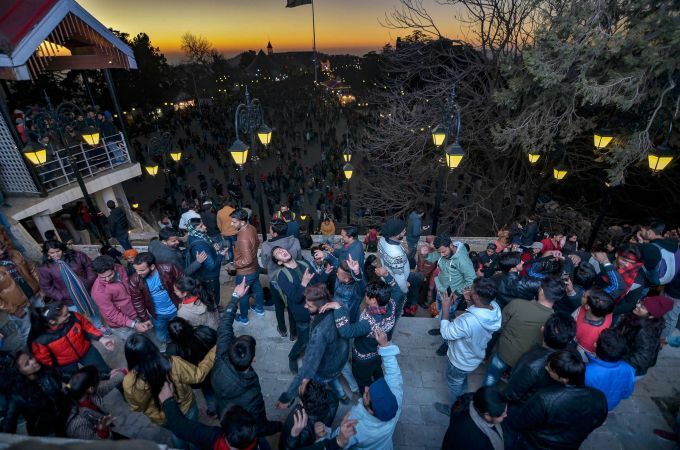 Shimla: Youngsters dance to celebrate the New Year's eve, at Ridge in Shimla, Monday, Dec. 31, 2018.